The Victorian Festival returns with new events, old favorites, and even more opportunities to experience a way of life that was. 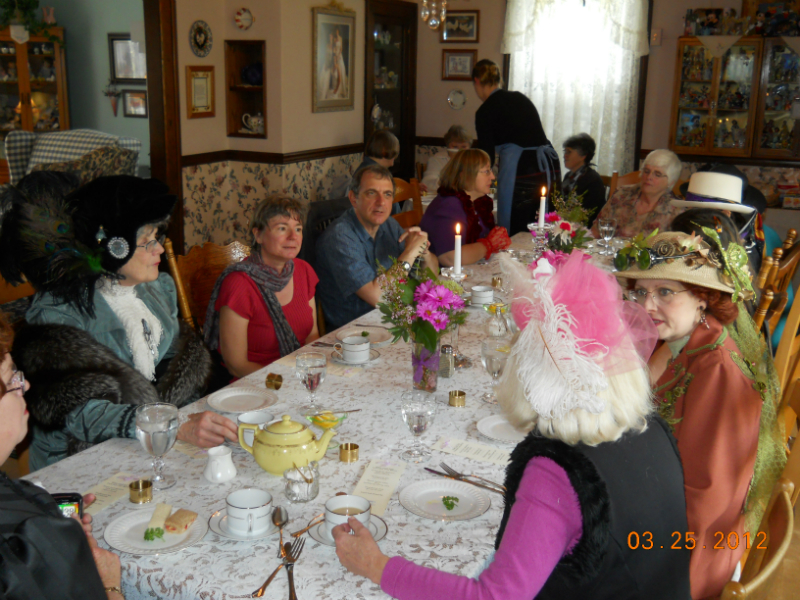 Join us among the beautiful Victorian architecture of Port Townsend as history lives again. Watch this space for more information and ticket sales. We look forward to seeing you! Purchase your Discover Pass today! The Washington State Parks Folk & Traditional Arts Program invites the public to celebrate spring at the 2019 Holi Celebration at Lake Sammamish State Park in Issaquah. 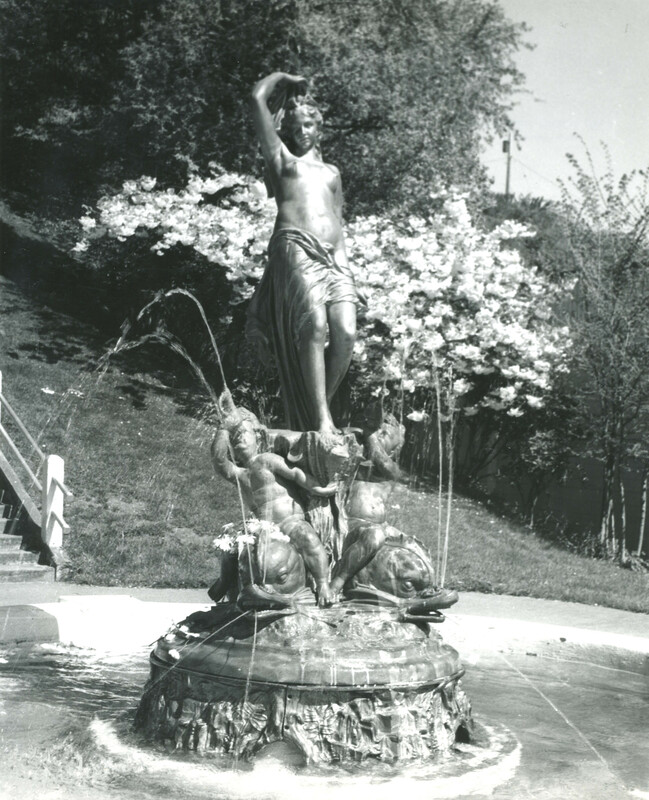 The annual celebration runs from 11 a.m. to 3 p.m. Saturday, March 23. (Driving directions.) The free event, which takes place at the park’s kitchen shelter, will include a Bollywood DJ, traditional music & dance and family-friendly activities. Nontoxic paint powder and vegetarian Indian food will be available for purchase. Holi, an ancient Hindu spring festival, is also known as the Festival of Colors. This joyful and vibrant holiday brings participants of all ages and walks of life together to celebrate, socialize and say goodbye to winter. Learn more about Holi at the event! The Holi Celebration is part of a broader series of events that celebrate Washington’s diverse heritage presented by the Folk & Traditional Arts Program. Learn more. A Discover Pass is required for vehicle parking. Feeling chilly with the cold weather and snow Washington has been receiving this year? Then get your hands on the new Washington State Parks scarf! This beautiful, high-quality woven scarf is two sided and lets you proudly support Washington State Parks Winter Recreation Program. The scarf is 61 inches long by 6.5 inches tall. It sells for $20 (includes tax) at Washington State Parks headquarters building, 1111 Israel Road SW, Tumwater, 98501. Or $20 plus $7 to have it shipped to you. Call (360) 902-8844. The scarf is 80 percent acrylic and 20 percent polyester, and is machine washer/dryer safe. Proceeds support the Winter Recreation Program. Limited supply, so get your scarf today! Find out how you can get your very own scarf here. Photo: Blake the snowshoe hare is one of the mascots for State Parks’ Winter Recreation Program. Book a cabin or campsite now! Planning your spring or summer vacation? State parks’ accommodations fill up fast, but you can make reservations up to nine months in advance for most parks. If you waited too long to snag those summer weekend dates last year, consider a mid-week reservation. You might have better luck if you can be flexible on your dates. And there’s always the off season. Many cabins and yurts are cheaper then, too! Looking for suggestions? We currently have openings for cabins and yurts at Twin Harbors and Ike Kinswa state parks. Book your stay today! 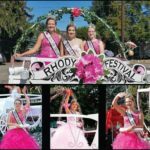 Party down in Port Townsend in August with live music all around town, Shakespeare in the Park and summer fairs for the whole family. You won’t want to miss a minute! 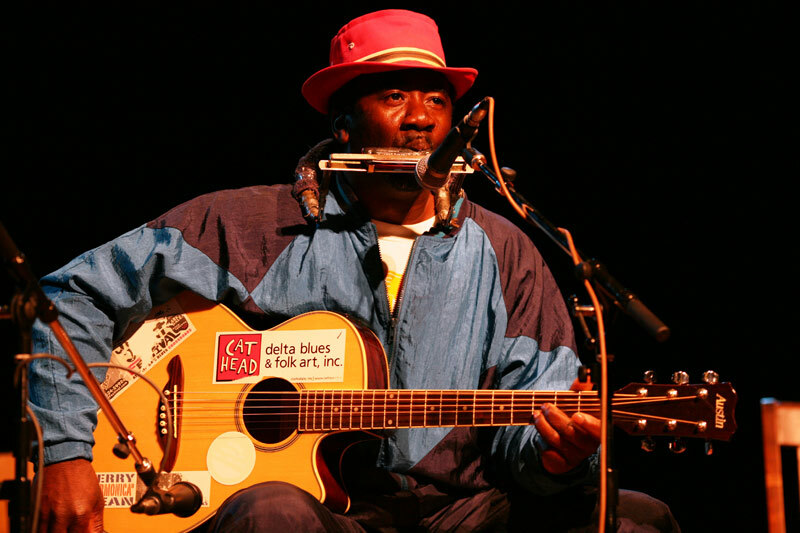 The Port Townsend Acoustic Blues Festival heats up the park with “Blues in the Clubs” as a moveable feast of great music for all ages in various venues at Fort Worden State Park. One nightly wristband gives you the freedom to move around to all the venues throughout the evening, gaining the full benefit of the club experience. Centrum’s Blues faculty will play sets in all sorts of interesting combinations on Friday, August 3 and Saturday, August 4 from 8 pm – midnight. For more information, go to www.centrum.org. In a Viking saga of love, honor and betrayal, Key City Public Theatre is proud to present the tragedy of the Prince of Denmark in Hamlet at Shakespeare in the Park. Taken back to 932AD, Hamlet is reimagined as a saga where thanes and raiders seek fortune, power, and ultimately, a seat in the hallowed halls of Valhalla. Directed by Marc Weinblatt, Hamlet features a cast loaded with KCPT mainstays and promises a thrilling take on the most famous of the bard’s work. Performances run Aug. 3 through 26, outdoors in beautiful Chetzemoka Park (Jackson and Blaine Streets), Fridays through Sundays at 6 pm. All performances are Pay-What-You-Wish at the gate, with advance tickets costing $29, available at the playhouse box office at 360.385.KCPT (5278) or online at http://www.keycitypublictheatre.org/. Audience members are encouraged to bring blankets or lawn chairs for seating on the grass and to dress warmly for when the sun goes down. Picnic fare is welcome. Concessions will also be sold. The dock is still rockin’ for a few more weeks at the free, all-ages, outdoor Concerts on the Dock in downtown Port Townsend. 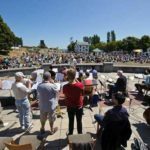 Sponsored by the Port Townsend Main Street Program, the concerts will be Thursdays, August 2, 9, 16, 23 and 30, at the Pope Marine Park/City Dock Civic Plaza. Local vendors and a beer, wine and cider garden will contribute to the festive atmosphere. Help us “Go Green” this year by renting a reusable cup during the concert and returning it at the end of the show. So far this has dramatically reduced the amount plastic used at each concert. Seating opens at 4:30 pm, show starts at 5 pm and ends at 7:30 pm. Bring a chair or a blanket and settle in for some great tunes. 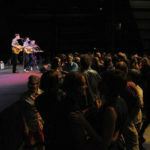 For the list of bands, go to http://www.ptmainstreet.org/page14/page14.html. The Jefferson County Fair welcomes you to this year’s Bug Up-themed fair, August 10, 11 and 12. Meet farm animals up close. Cheer on riders as they put their horses through their paces. See the largest fruits, vegetables and flowers grown in Jefferson County. Hear music from fantastic bands and get your dancin’ boots on. Take a turn at riding the bull. Indulge in an elephant ear or a corn dog. Or watch the demo derby or mud drag. 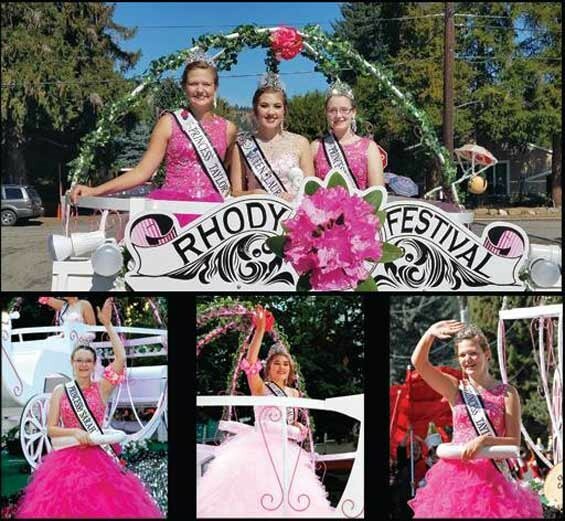 It’s everything a country fair should be—don’t miss it! Open 10 am to 9 pm Friday and Saturday, 10 am to 6 pm Sunday. For more details and ticket info, visit http://jeffcofairgrounds.com. 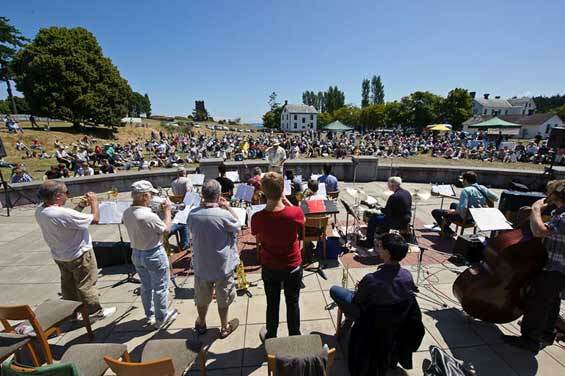 The Olympic Music Festival (OMF) presents its 35th annual summer season in partnership with Centrum at Fort Worden. World-class chamber music performances take place at the Joseph F. Wheeler Theater, Saturdays and Sundays at 2 pm, August 11 through September 19. 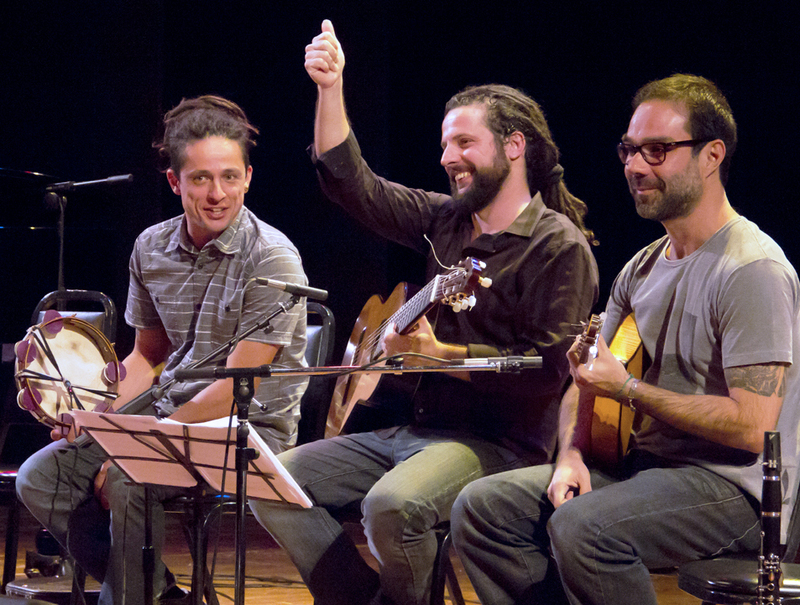 Programming also includes a free educational concert for children and their families on August 26 at 11 am. Since the beginning of his tenure in 2014, OMF Artistic Director Julio Elizalde has electrified audiences by presenting world-class artists on the Olympic Peninsula in programs that center on the classical chamber music repertoire and, on occasion, venture into styles such as American folk music and jazz. To purchase tickets and for more detailed information about the performances, go to www.olympicmusicfestival.org or call 360.385.9699. Key City Public Theatre will celebrate its 60th birthday on August 14 with a fun and fabulous dance party. The party will start at 7 pm at Chetzemoka Park—dance til dusk on the Hamlet set with the Prince of Denmark himself! 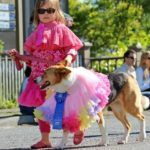 On August 18, the beloved Annual Uptown Street Fair and Parade celebrates 28 years of fun in Uptown and includes great local music, the Port Townsend Arts & Crafts Fair, the Jefferson County Farmers Market, tasty food on the street, free art activities for families and much more. Come hang out with the Uptown businesses and neighbors for the day at this colorful community event. The Arts and Crafts Fair and Farmers Market begin at 9 am; kids’ activities follow from 10 am – 3 pm, and music from 10 am – 5 pm. The Uptown Pub is hosting an outdoor beer garden. The “GRANDLY LOCAL PARADE” is at 2 pm. Come make a day of it in historic, pedestrian-friendly Uptown. Lawrence Street and Tyler Street are closed for the Street Fair, as well as the Farmers Market location on Polk Street. Bring your appetite—there will be delicious local food vendors at the event. Coordinated by the Port Townsend Main Street Program and sponsored by generous local businesses. 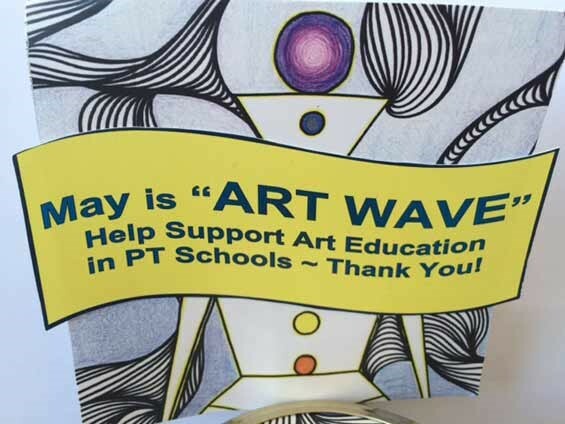 For more information, go to http://ptmainstreet.org. Don’t miss the party in August. 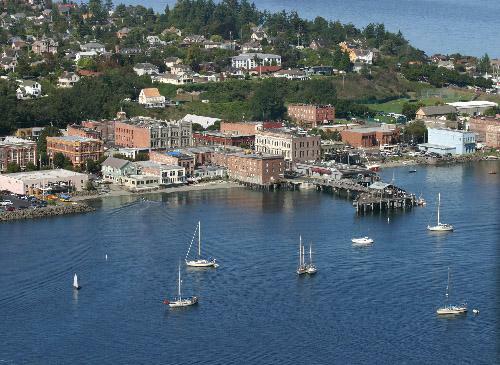 Visit us for an amazing getaway and enjoy all things Port Townsend! A Few Upcoming Events in September—Save the Dates! 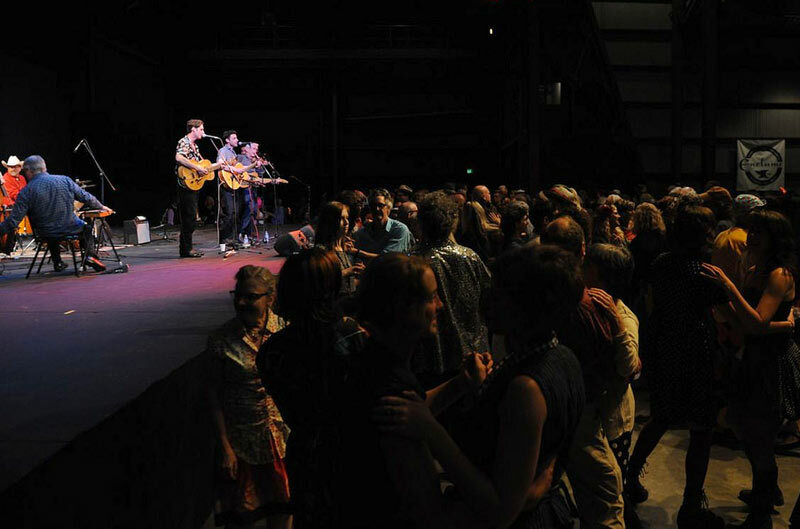 Port Townsend is all abuzz with excitement about super-cool events this month. 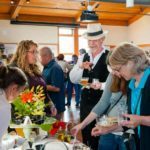 We’re serving up something for every appetite—with a cycling ride of the Tour de Forts, to the Brass Screw Confederacy Steampunk Hootenanny, to the Taste of Port Townsend event for foodies, and music galore with Centrum. We know you’ll love the adventure of surprise and delight when you join the fun! And for those of you who love all things water, June is for you! 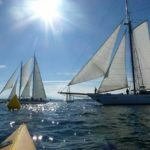 Be part of the exhilarating send-off of the participants in the incredible 4th Annual Race to Alaska (R2AK), and don’t miss Port Townsend Orca Festival at Fort Worden. 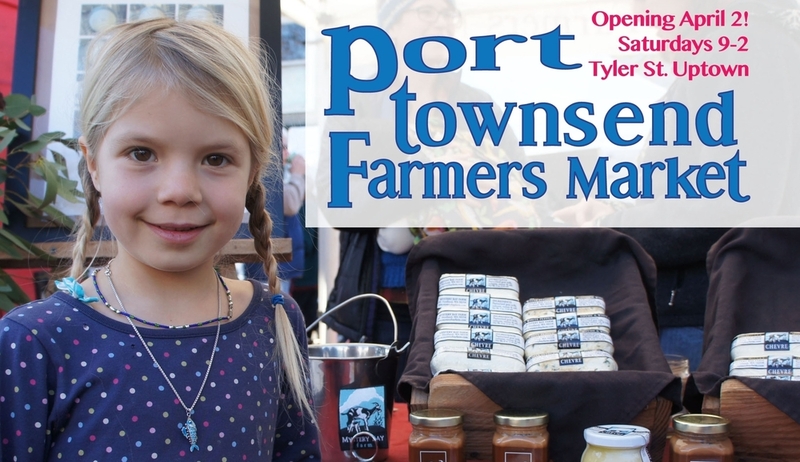 The Port Townsend Wednesday Farmers Market opens June 6, at its new location, the Jefferson Transit Haines Place Park and Ride, from 2 -6 pm. The market season is in full swing with the Saturday Farmers Market Uptown from 9 am to 2 pm. With the new Haines Place Park and Ride location, the Wednesday Farmers Market can be easily accessed from anywhere in the Jefferson County. Try taking transit to the market or walk, bike, hop or drive to the new location of the mid-week farm and food market. There’s plenty of parking and you can stroll from Uptown through Kah Tai Lagoon to get to the market. 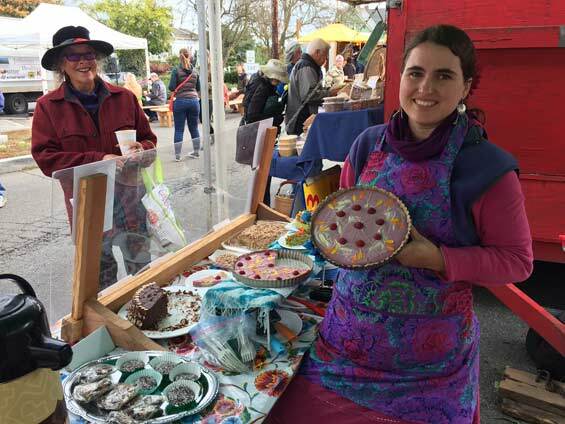 This season there are more vendors registered for the Port Townsend Wednesday Farmers Market than in years. Here are 15 reasons to visit on opening day: Mountain Spirit Herbal Company, Duckabush Mushrooms, Spring Rain Farm & Orchard, Fiddlehead Creamery, Finnriver Farm, Serendipity Farm, Midori Farm, Hopscotch Farm + Cannery, Chimacum Valley Dairy, Bob’s Bakery, River Run Farm, Cape Cleare Fishery, Golden Harvest, Onatrue Farm, and Hurricane Hills Winery, plus a chef demonstration with Arran Stark at the opening day market. For more info, go to www.jcfmarkets.org. 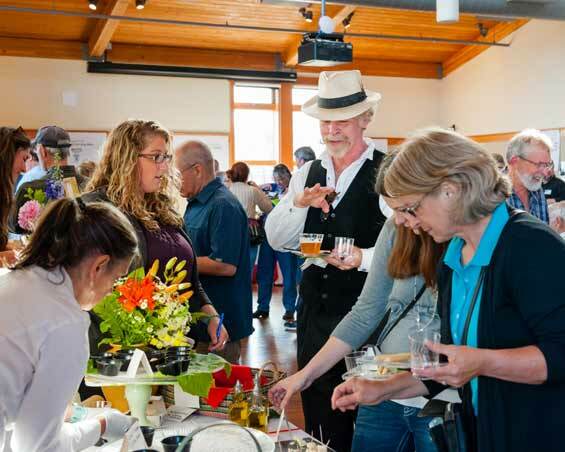 The Port Townsend Main Street Program celebrates the Tastes of Port Townsend on June 7 from 5-8 pm at the Northwest Maritime Center. Foodies will enjoy delicious samples from 14 restaurants and dessert spots, breweries, wineries and cideries, plus tea and coffee. From green curry chicken, seafood risotto, sushi, smokehouse sliders, smoked sockeye Nova Lox with cream cheese, salads and desserts, the many tastes will delight diners. 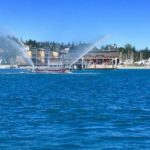 There are new participants this year, including Finistere, Banana Leaf Thai Bistro, Port Townsend Vineyards, and Key City Fish Company. 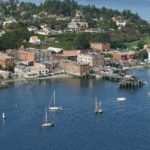 This event is a fundraiser for the Port Townsend Main Street Program, a 501c3 nonprofit dedicated to the historic districts Uptown and Downtown. This is a 21+ event, please bring valid ID. 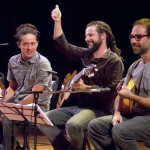 For more info and to purchase tickets, go to www.ptmainstreet.org. 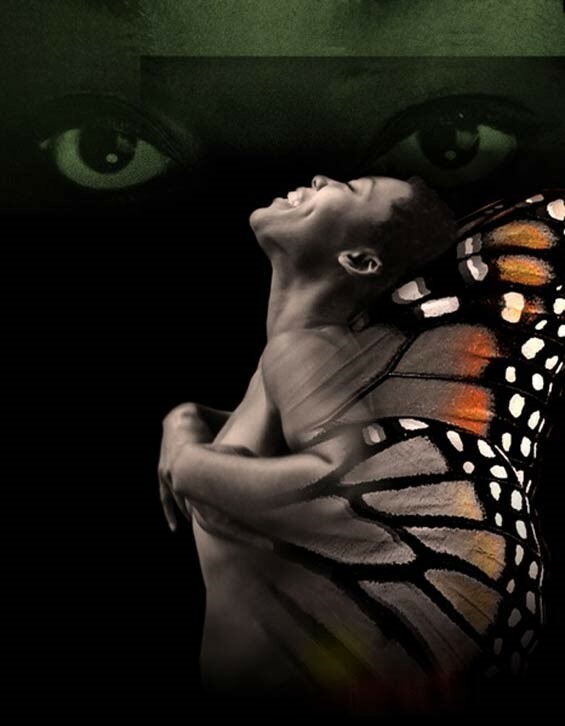 Key City Public Theatre presents Daddy Long Legs, running Thursday through Sunday from June 8 through July 2. An adaptation of the 1912 novel of the same name by Jean Webster, this is the latest in many stage and film adaptations, and the most-true to the original work. Written in 2007, with music and lyrics by Paul Gordon, Daddy Long Legs is a two-person epistolary musical about a young orphan girl and her mysterious benefactor who empowers her through providing her with a college education. KCPT is opening the first West Coast production of Daddy Long Legs since the closing of its successful off-Broadway run in 2016. 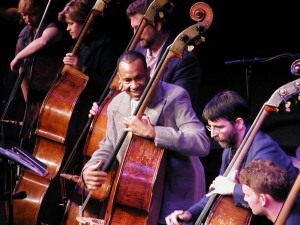 For more info and to purchase tickets, go to www.keycitypublictheatre.org. 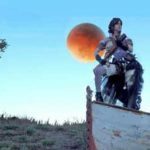 Join the Brass Screw Confederacy, for its seventh annual Steampunk Festival, June 8-10. Embark upon Perilous Adventures to exotic domains on the outskirts of imagination. Come decked out in your steampunk finery for another amazing year’s adventures. And while, this may not be the biggest, fanciest, first, nor certainly not the last steampunk something-or-other on earth—there is something to steam up ingenues and aficionados alike. You won’t be disappointed. This year’s event aims to rock you back on your boot heels and steam up your goggles. They’re turning it up with the Hottest Hootenanny ever, Tactical Croquet, the stupendous Bazaar of the Bizarre, Brass Screw Chautauqua, bands, magic and mayhem galore! For more details about what to expect, go to www.brassscrew.org. 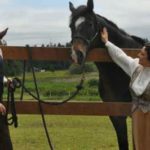 Tour de Forts 2018 is a stunning ride on June 9, beginning at 8 am, that takes cyclists of all ages and abilities on a scenic and historic trip around the northeast corner of the Olympic Peninsula. Along the way, water and snack stops allow cyclists to enjoy the view from three old seaside forts that have been converted to beautiful state parks. Routes include a 62-mile, 35-mile, 15-mile and 11-mile options. To register, go to www.tourdeforts.org. Centrum is hosting the 9th annual Chamber Music Workshop with a free public master class on Wednesday, June 13 at 7:30 pm. Student concerts are on June 15 and 16 at 7:30 pm with a faculty performance on Sunday, June 17 at 2 pm featuring composers Haydn, Mieczyslaw Weinberg and Shostakovich. The Workshop closes with a performance with Grammy-winning Pacifica Quartet (pictured above). All performances are in Wheeler Theater at Fort Worden. 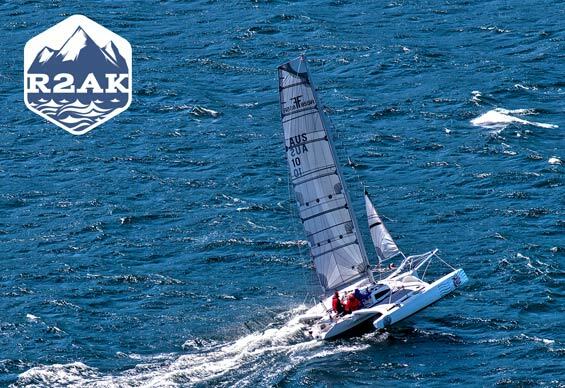 R2AK (short for the Race to Alaska) is simple. Get a boat without a motor. Race 750 miles to Ketichan, Alaska, any way you can. Don’t get eaten by a bear. $10,000 if you’re first. Maritime Center in Port Townsend. The excitement of the start is palpable and not to be missed. But if that’s too early for you, come for the Pre-Race Ruckus on Wednesday, June 13, from noon to 8 pm and let loose like you’re about to sail to Alaska…with people who actually are about to set sail for Alaska! Bring your sense of adventure. Get a free tattoo. Have a blast. 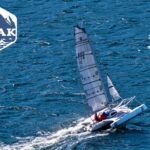 To join the fun and track the boats once they’re en route, go to www.r2ak.com. 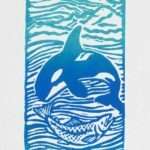 Don’t miss 2018 Port Townsend Orca Festival at Fort Worden on June 23. A day of celebration, education, ceremony and adventure! Featured speakers from the Governor’s Orca Recovery Task Force, researchers from Ocean Initiative, Long Live the Kings, and the North Olympic Salmon Coalition – and then famed rock/ska band Locust Street Taxi performs starting at 1PM. 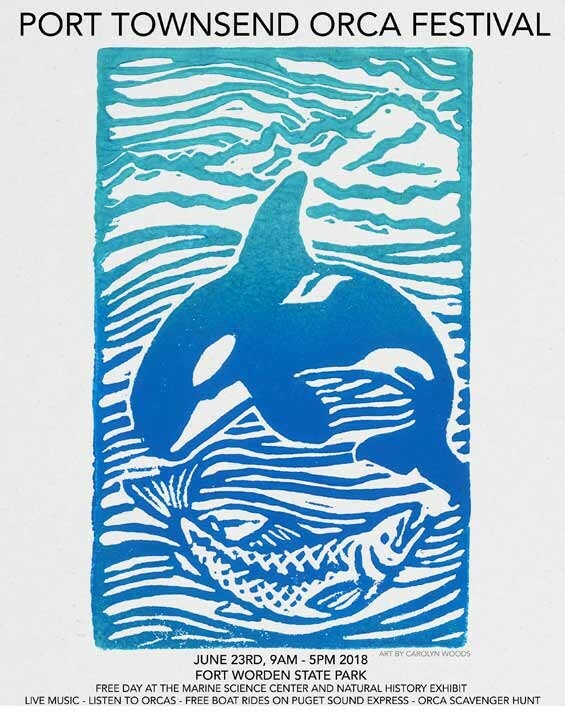 Festival awards ceremony at 2PM will honor winners of the Rat Island Regatta and JPod Scavenger hunt, as well as Governor Jay Inslee for his long-term dedication and support of the Southern Resident Orcas of Puget Sound (Gov. Inslee will not be present). With all this followed by a song and dance by the North Olympic Orca Pod and a celebration of Finn the salmon’s 30th year anniversary, this year’s award ceremony will be one for the history books. http://ptorcafest.com. Get your dancin’ shoes on and polka dot attire ready for Centrum’s Honky-Tonk Polka Dot Dance, Thursday, June 28 at 8 pm in the USO Building at Fort Worden featuring a variety of talented vocalists singing tunes from a range of traditions including Irish, Appalachia, Country, Blues and Gospel. This sells out quickly, so don’t delay and buy your tickets today at www.centrum.org. 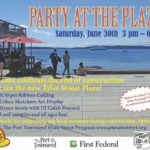 Join the fun and Party at the Plaza on Saturday, June 30 from 3-6 pm across Water Street from the Jefferson Museum of Art and History. 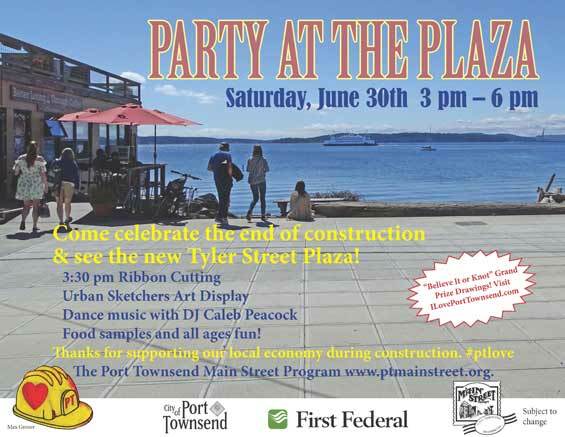 The party is coordinated by the Port Townsend Main Street Promotion Committee and volunteers to celebrate the completion of construction on Water Street. Dance to music with DJ Caleb Peacock, enjoy nibbles and fun for all ages. 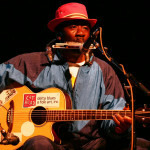 For more info, go to www.ptmainstreet.org. A Few Upcoming Events this Summer—Save the Dates! We can’t wait to welcome you to Port Townsend this summer! 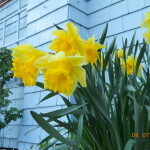 As April showers give way to May flowers, nothing takes center stage as eloquently here in Port Townsend as the Rhododendron, which you’ll see blooming prolifically around town. 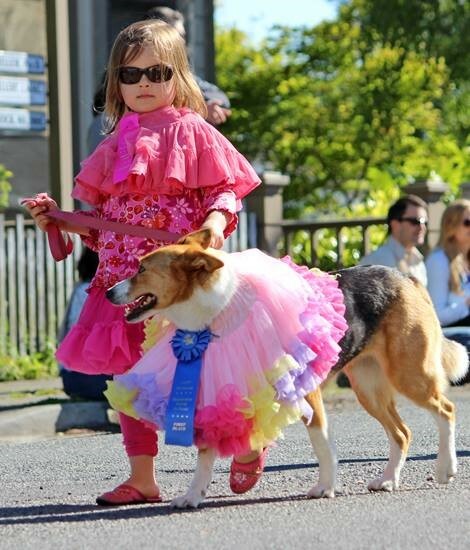 It’s not only Washington’s state flower, but it’s the star of the show this month as we celebrate our 83rd Rhododendron Festival, with activities and fun for the whole family…even your pet! Mark your calendars to join us May 16-20! But that’s not all that’s coming your way in May. 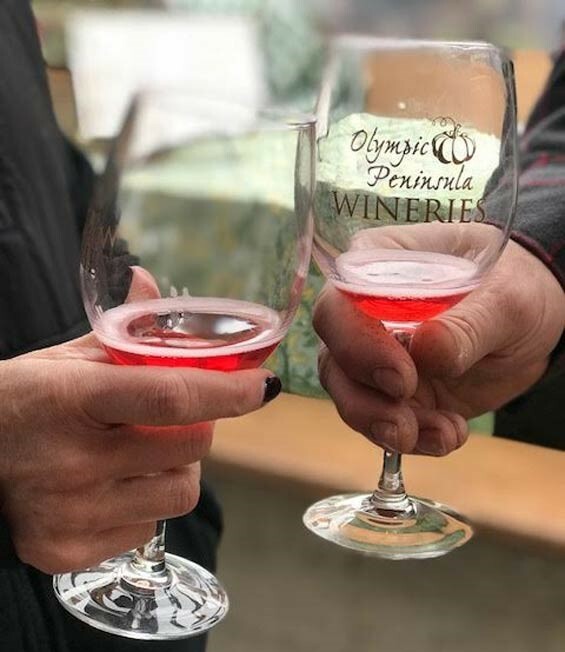 Read on to learn about more exciting events and activities for you to enjoy in Port Townsend this month! 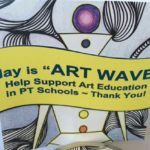 You’ll be inspired by this colorful month-long exhibit of over 400 pieces of children’s artwork displayed in businesses in Uptown and Downtown, created by grades K-12 in the Port Townsend School District. Come to the historic districts for Art Walk on Saturday, May 5, from 5:30-7:30 pm and see the creativity of our children. The Port Townsend Rock Club is hosting their annual Gemboree showcase, including local experts demonstrating contemporary beading, jewelry bezel setting, stone sculpting and much more. The organization has been active for over 50 years in Port Townsend. Located at the Jefferson County Fairgrounds, the clubhouse hosts a complete studio, library and a cavalcade of people who love to work on and learn about gems, minerals and geology. Explore the possibilities at the Gemboree from 10 am to 2 pm. Free to the public. For more info, email porttownsendrockclub@gmail.com. 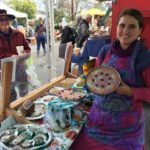 The 5th Annual Artisan Food Festival is May 26 in Uptown Port Townsend with 70+ local farms, live music, artisan foods, craft beer, cider, wine, and arts and craft vendors including cheese pairings with Mt. Townsend Creamery and Port Townsend Vineyards. Chef demonstrations by Jefferson Healthcare’s Executive Chef, Arran Stark; Finistere’s Executive Chef and Co-owner Deborah Taylor; Jess Rose, Silverwater Café’s Executive Chef; and Denise Joy from Mountain Spirit Herbal Company. 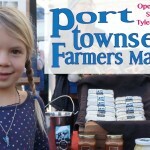 For a schedule of events, go to http://jcfmarkets.org/ptaff/. 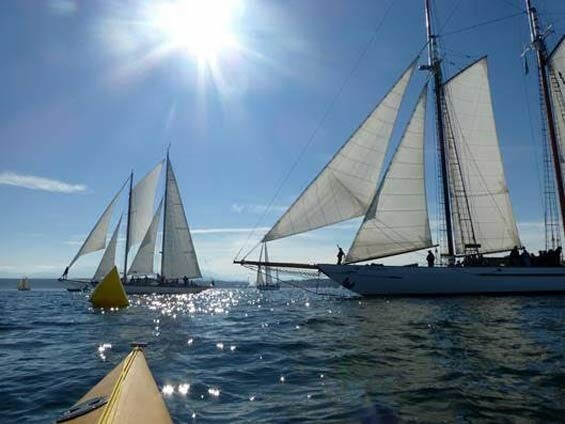 Watch beautiful wooden boats and high-caliber sailors racing their hearts out. Sample. Sip. Mingle. 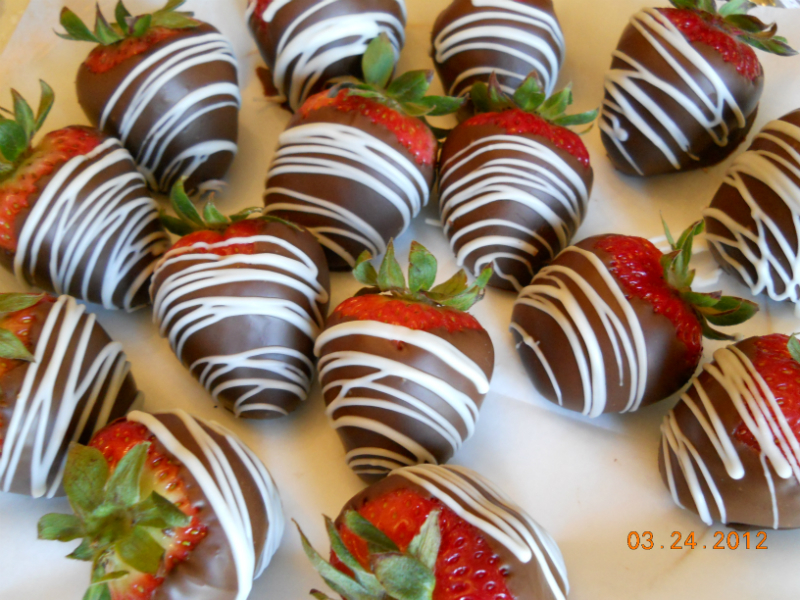 It’s going to be delicious! No motor, no support, all the way to Alaska. 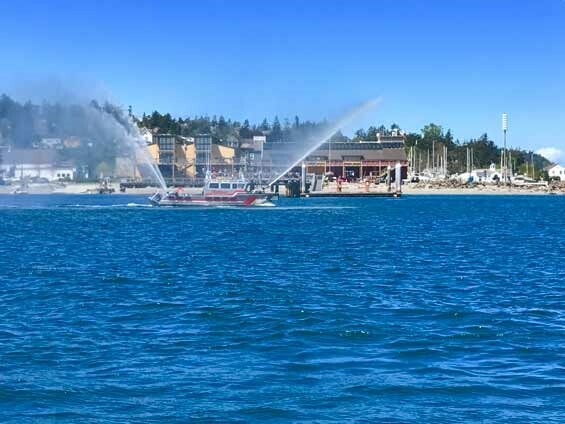 Watch the race start in Port Townsend! We can’t wait to welcome you to Port Townsend this month!